HootSuite is a system developed in the year 2008 by Ryan Holmes. It is one of the best tools for brand management. 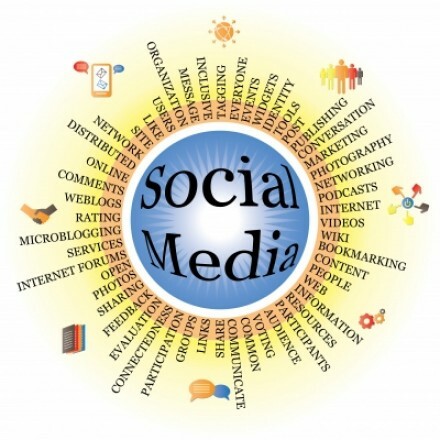 When you are marketing through social media websites, you’ll have to login with your credentials on every website. This is where HootSuite comes in. When you link all your social media sites to HootSuite, you’ll only have to login once to manage and analyze all your data. HootSuite initially supported Google+, LinkedIn, Twitter, Facebook, Foursquare, MySpace and Mix. HootSuite has over 3 million users and recently, the company has extended support to more social media platforms. Let’s have a look at it. WordPress.com one of the most popular blogging platforms and WordPress.org offers self hosting blogs. WordPress is a very efficient content management system and has a very large user base. With HootSuite extending support to the self hosting platform, posting and editing content is even easier. The developers have put a lot of thought into the integration and now, you can manage your WordPress.org website right from HootSuite. Linking the self hosted WordPress that you own to HootSuite is a onetime process. It allows you to monitor the statistics and manage the pages and comments. Apart from YouTube, HootSuite now supports Vimeo and you can create channels, and albums. You also have the ability to add custom playlists and create ‘Watch Later’ playlists. Unless you have a director’s channel on YouTube, you cannot add videos that are longer than one hour, but Vimeo has no restrictions on the length of the video and for this reason, it is rapidly gaining popularity. HootSuite’s extended support for Vimeo is a welcome feature and by far, one of the best updates that HootSuite users got. HootSuite has had Pinterest support for a while now, and you could pin images and links. The latest update gives you the ability to track and manage the activities on your channel. You now have a detailed report of the visitor count and see who has repinned your posts and to which board. You can also manage the comments on your channels and even reply to them. Reachli is an online tool that allows you to analyze and manage the content you have on Pinterest, Facebook and Twitter. With HootSuite now adding Reachli to the list of supported social media platforms, you can have a better understanding about your content’s reach. This is a social media platform that allows you to share content on the website’s story board. Now, through HootSuite, you can manage your data and even create content in HootSuite to be posted on Via.me and share them on Facebook and Twitter. Via.me supports keywords and is a better choice if you want search engines to crawl your content. This is a great tool for writers. You can create content to promote yourself and you can hire writers as well. With HootSuite’s support, you can create content and post it on Scripted. When you have someone trying to contact you, you will be notified on HootSuite’s dashboard and you can easily manage your profile and content. These are the five social media platforms that HootSuite has extended support to. The company says that it is not done and has invited developers to come up with new ideas. Andrea Walters, a freelance writer for www.globalx.net – The Nation’s Lowest All-Digital Price Provider of dish network packages.